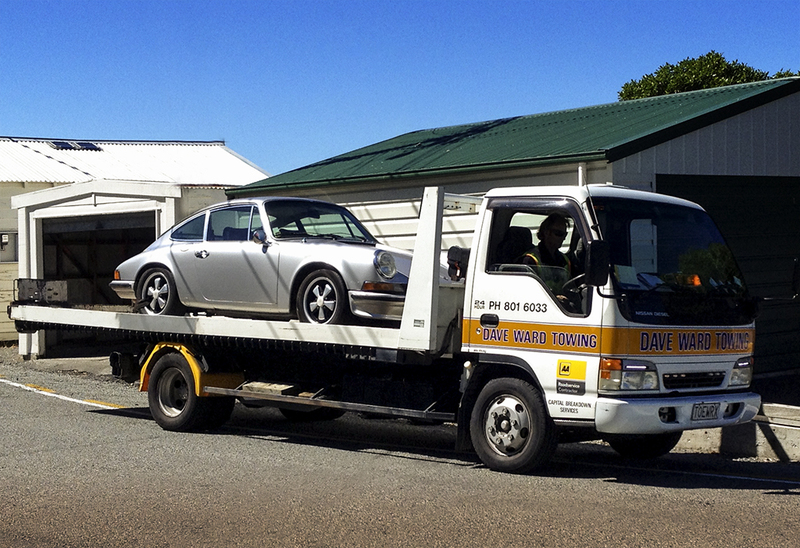 Yes, that’s the 911 sitting forlornly on the back of a tow truck on it’s way to the Powerhaus for repairs. The reason for the repairs? The complete absence of a clutch – push the pedal and there’s nothing, nix, nada. And forcing the car into gear amid a graunching and grinding of gears doesn’t make for enjoyable motoring. This entry was posted in Cars, Porsche, Wellington and tagged 911, breakdown, cars, clutch, Porsche, Powerhaus, repair by toscanakiwi. Bookmark the permalink.